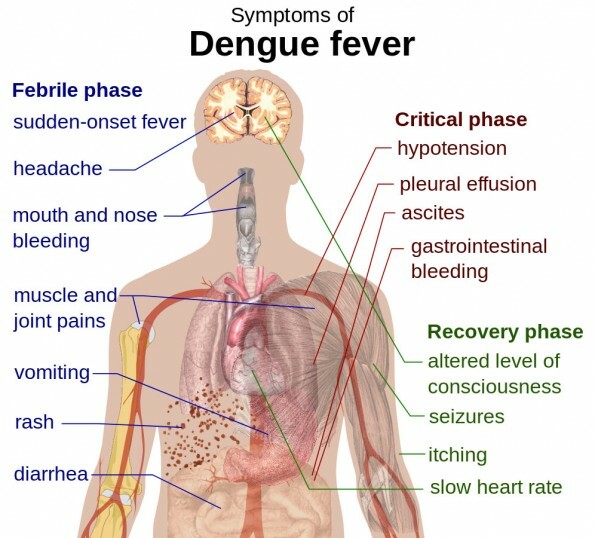 The State Department of Health continues to work with other state and county agencies on the issue of the Dengue Fever outbreak. As of Friday (Nov 27) the Department of Health has reported 107 confirmed cases originating on Hawaii Island. These cases include 93 residents and 14 visitors. 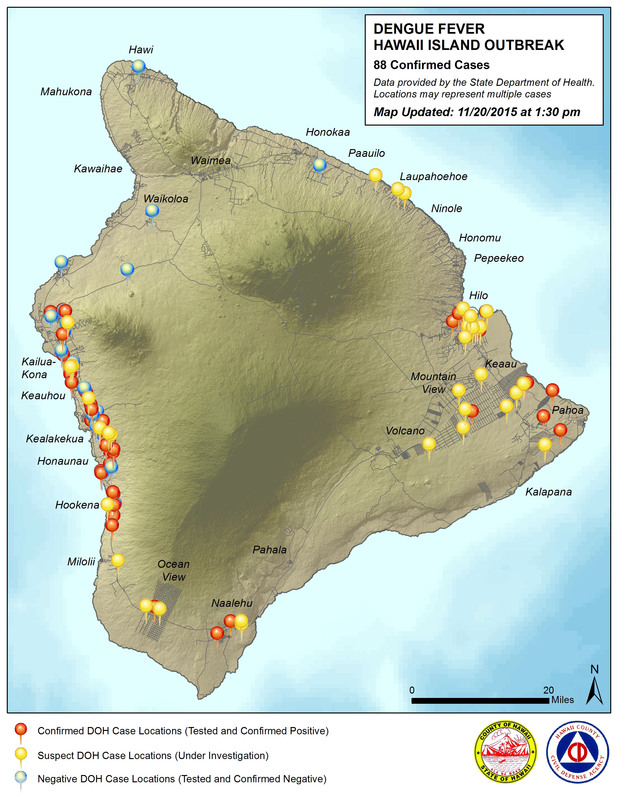 Of the confirmed cases, 93 are Hawaii residents and 14 are visitors with 83 cases adults; 24 have been children (less than 18 years of age). 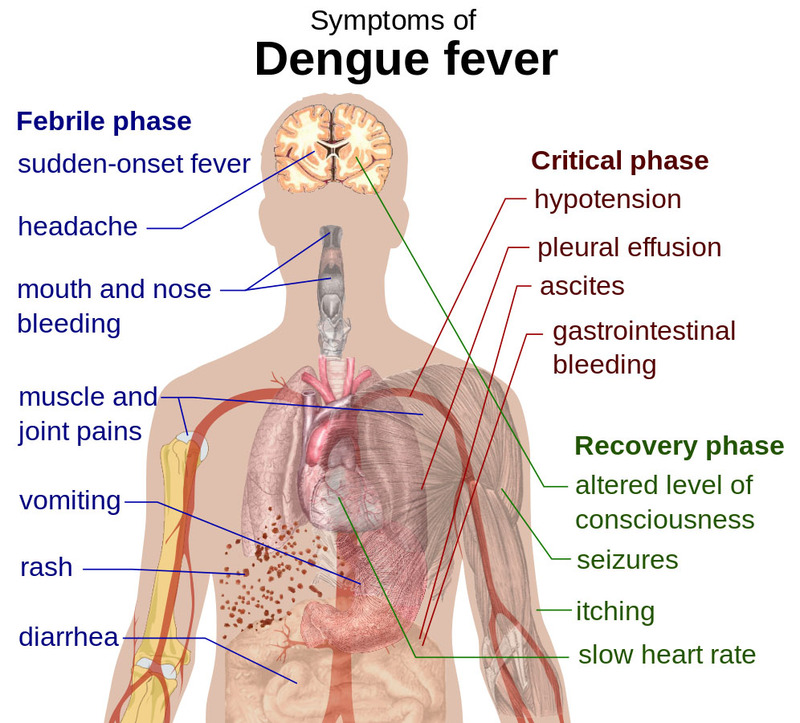 Onset of illness has ranged between 9/11/15 – 11/18/15. As of Friday (Nov 27), a total of 238 reported potential cases have been excluded based on test results and/or not meeting case criteria. 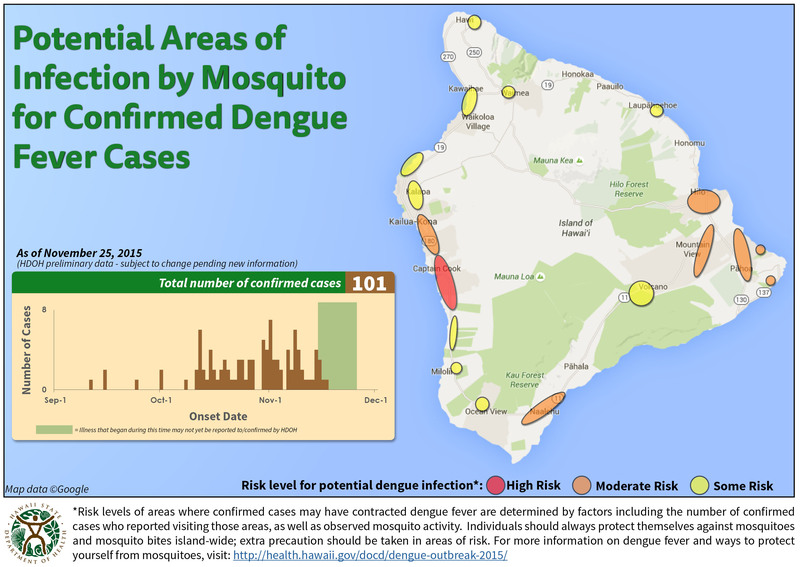 Dengue Fever outbreak map by Hawaii County Civil Defense Friday, November 20, 2015.